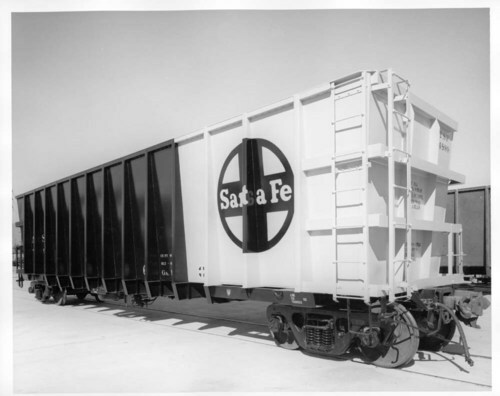 This photograph shows a three-quarter view of an Atchison, Topeka & Santa Fe Railway gondola car (ATSF #74899). The car was for shipping the York Canyon mine's coal from New Mexico to the Kaiser Steel mill in Fontana, California. The car's yellow end ,(on the right side), indicated the location of its rotary coupler equipment.